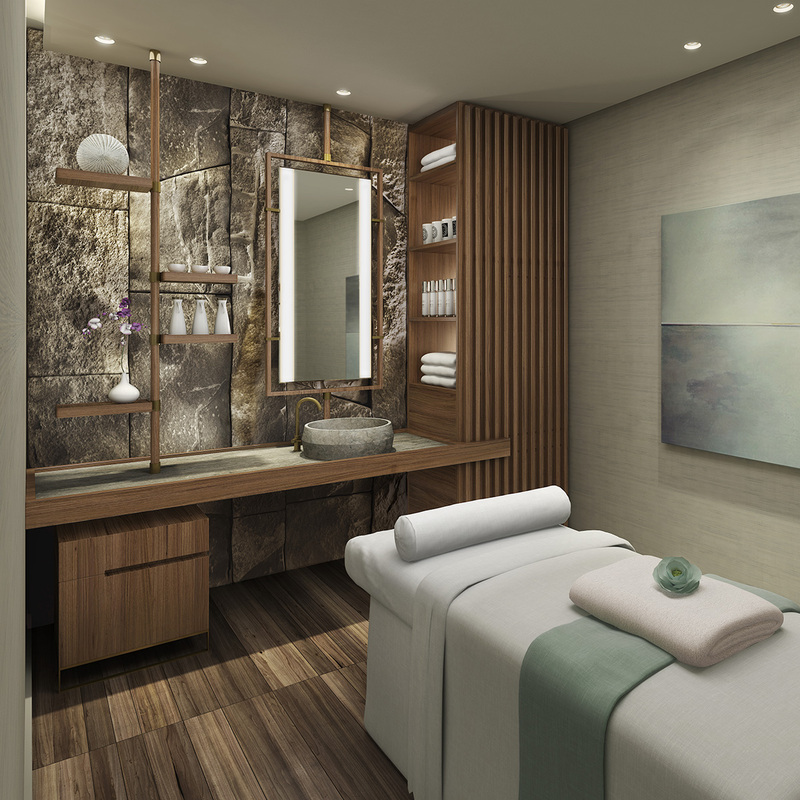 Emerging in September 2017 from Vancouver’s entertainment district, the JW Marriott parq Spa will offer a luxurious pause of tranquility. Studio Munge's design will embody the majestic grandeur of the surrounding coastal landscape. In an effortless elegance, the Spa is wrapped in bright white marbles and soft hues of seafoam green and rich natural wood. Reminiscent of the ocean's floor, textured marble spans across the public corridors leading guests into their private rooms of escape. In the heart of the JW Marriott hotel, the Spa features men's and women's steam rooms, a beauty salon and offers a full range of purifying wellness treatments. Through soothing natural elements, the Spa at the JW Marriott parq Vancouver offers a therapeutic sanctuary for the senses.